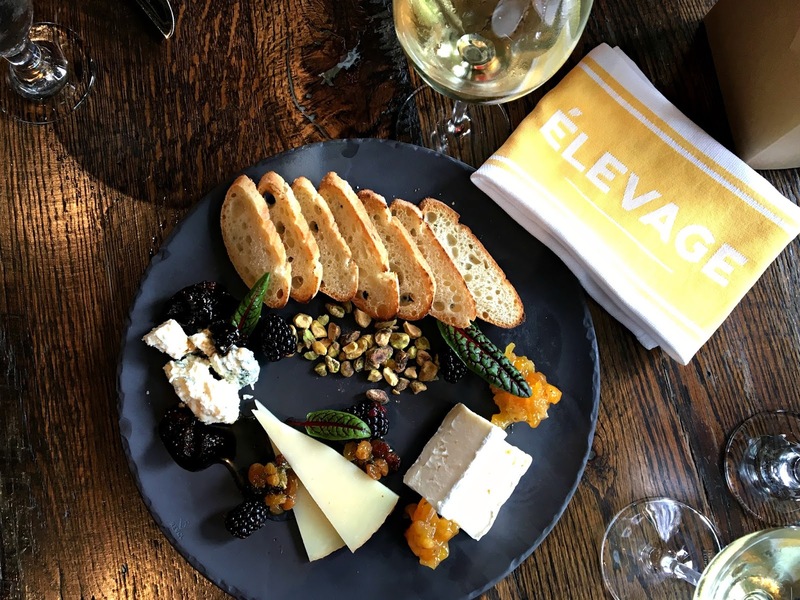 When my best friend Keri visited me a few weeks back, we had the opportunity to check out Elevage at Epicurean for brunch. Epicurean, the upscale boutique hotel located across the street from the legendary Berns Steakhouse opened in 2013 and has taken Tampa by storm. If you're a foodie and find yourself near Tampa, take note - this is a place you have to visit. 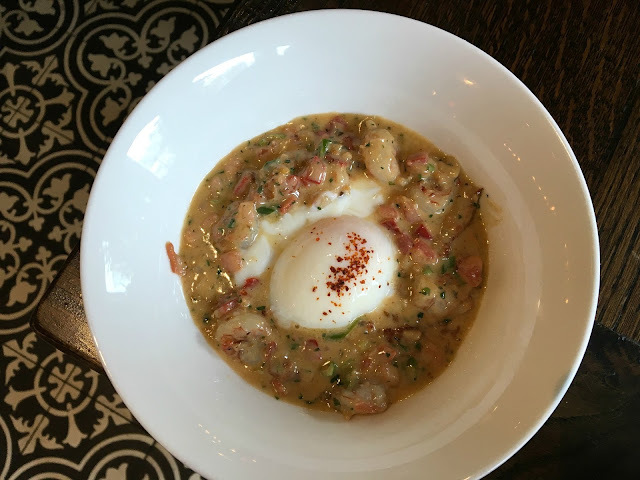 Elevage offers an incredible Brunch Menu on Saturday and Sunday from 9am-3pm. You have a choice between a 3 course meal (starter, entree, dessert) or ordering off an a la carte menu. I chose the three course meal while Keri chose ordering off the menu. 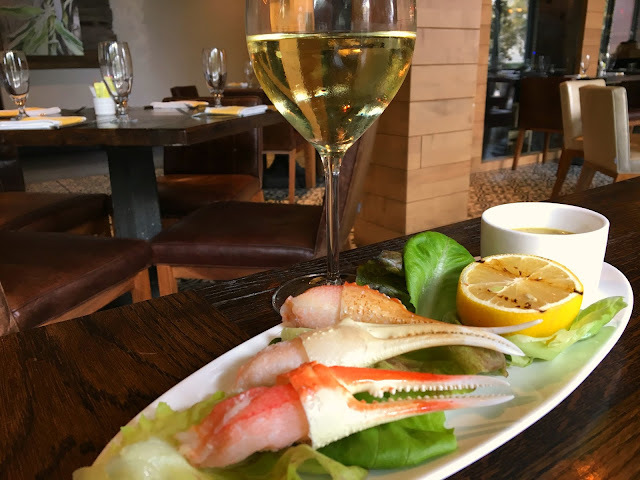 We started with an Artisanal Cheese Plate, the chef's selections with sweet and sticky garnishes and a delicious glass of chardonnay. First Course: For my first course, I had the choice of: House Smoked Dish Spread, Snow Crab Claws, Mushroom Bisque or Biscuits & Gravy. I typically would have gone for Biscuits & Gravy but being I had three courses, the Snow Crab Claws was a lighter option. It came with a jalapeno & basil remoulade which I held onto the entire meal and contemplated taking it home - it was insane. Second Course: For my second course, I had the choice of Shrimp & Grits, Frittata, Croque Monsieur or Sourdough Pancakes. I went with the Shrimp and very creamy Grits. It had pork belly, scallion, white wine and topped with a poached egg. WOW. I am southern and grew up on this dish. Don't tell my Grandma but this was better than hers. Third Course: For my third course, I had the choice of Fruit & Yogurt, Artisanal Cheese Plate or Strawberry Shortcake. 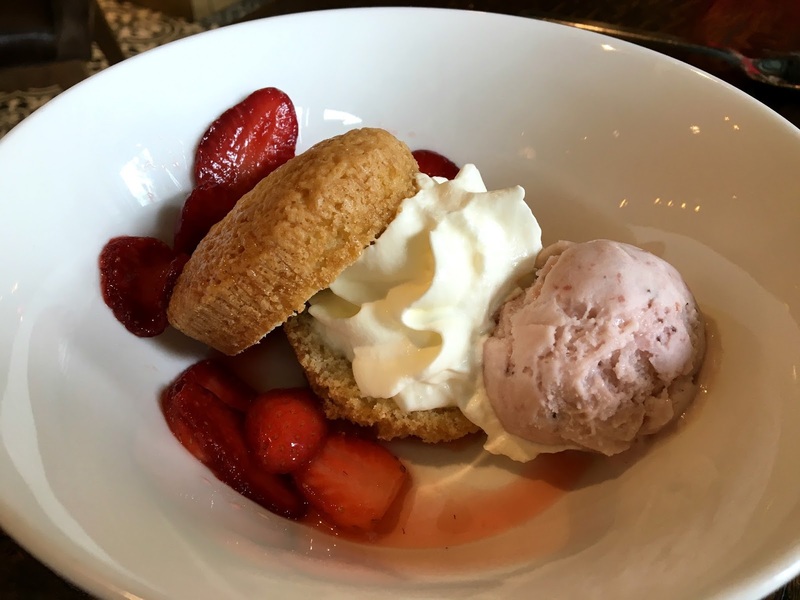 Since it was Florida strawberry season, I went with the Strawberry Shortcake topped with whipped cream and strawberry ice cream made in house. It was a refreshing and not overly filling dessert which was much preferred after three courses. A La Carte: The A la carte menu at Elevage is quite large with options for everyone. Keri shocked me by ordering a burger, something I typically would get (she is a salad girl). There were two burgers to choose, the Brunch Burger w/ a fried egg, country ham and espresso mayo on top or a Juicy Lucy. 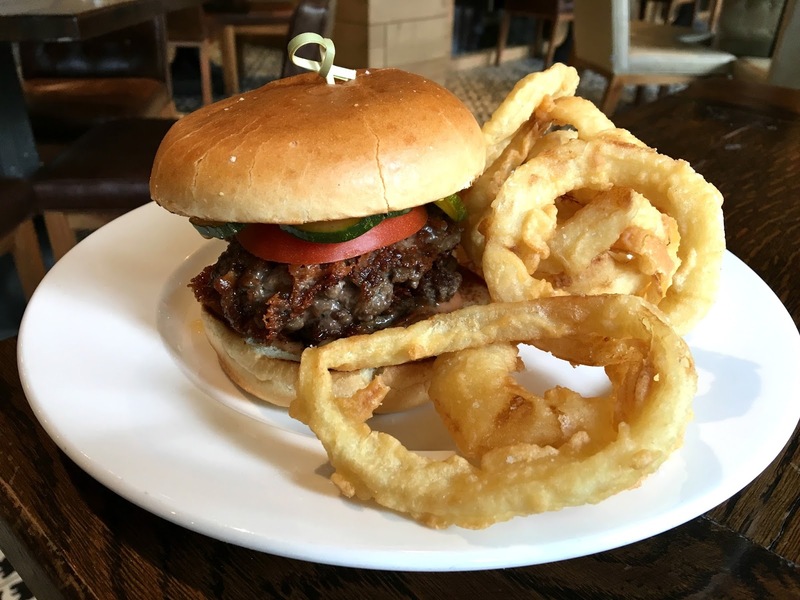 Elevage gets their meat from Bern's - so I knew this burger would be amazing. Keri opted with the Juicy Lucy and I quote her "If you're going to cheat on your diet, this is how you do it". The Juicy Lucy had aged cheddar, comeback sauce, bread and butter pickles tomato. 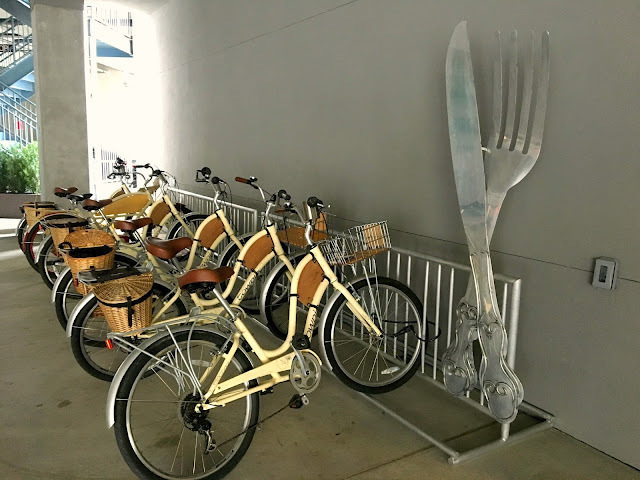 We left Elevage with very happy yet full bellies and saw these adorable bikes at Epicurean while waiting on our car (free valet until 5pm). I had the brilliant idea to work off our brunch by renting bikes and going on the riverwalk, since this day happened to be the one where they dye Tampa's river green. Aside from a little rain, it was a perfect day. There are quite a few upcoming events in April happening at Epicurean between Florida Blueberry Month and Berns Winefest. There are a few Bern's Winefest events that have not sold out yet (but they're going fast). My husband and I are looking forward to April 12th - Dessert, Cognac & Decadence!